Beauty Treatments | YONKA | Space | Hair And Beauty Salon | Exeter, Devon. Ensuring you feel beautiful from head to toe, our beauty treatments cater for all your needs. From express services to luxury stress-fix, we have everything you need to feel pampered and cared for. We are now offering customised AVEDA beauty treatment here at space. Call us to book in with our beauty therapist Georgie. Experience the fusion of performance driven plant-based skin and bodycare products alongside the art of high-touch experience at Aveda. All treatments include a thorough consultation to curate the perfect personalised treatment. Dry, oily, ageing, uneven, sensitive and blemish conditions can all be addressed with a customised Tulasāra™ facial treatment. 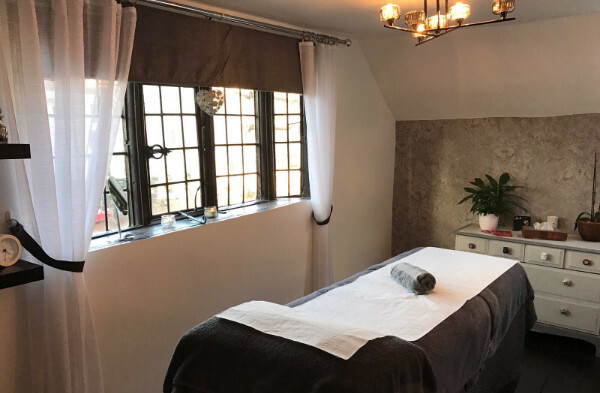 After a thorough consultation, we will create a bespoke treatment personalised for you & move your skin towards balance and reveal its natural beauty. Go beyond microdermabrasion and energise the look of your skin with our resurfacing treatment. Help to smooth the look of skin’s texture and the size of pores whilst significantly increasing radiance; all with less visible redness and irritation than a microdermabrasion procedure. Advancing the science of chemical peels, this treatment helps retexturise skin’s appearance, smooth the look of fine dry lines & pores, whilst restoring radiance.. Instant radiance benefits of a 30% glycolic peel procedure with less of the associated redness and irritation. This innovative treatment combines Aveda’s naturally derived* mechanical and biochemical exfoliation methods into one powerful service, transforming and rejuvenating the look of skin. A skin changing combination of the Tulasāra™, Botanical resurfacing treatment & Perfecting Plant peel. This treatment immediately improves the appearance of skin texture and radiance and smooths the appearance of fine, dry lines and pores. Stress, muscle tension and lack of energy can all be addressed with a customised massage treatment. After a thorough consultation, your massage therapist will provide you with the best combination of products, personalised Aveda aromas and massage techniques including: Swedish/relaxation, deep tissue, hot stone, foot reflexology pressure points, Chakra techniques and subtle energy work. Customised Body massage to dissolve muscular tension, leaving you completely calm and relaxed. Followed by a hot compress and pressure point finish. Shoulders, neck and scalp are massaged to ease stress and tension leaving you completely relaxed. Aroma stone massage therapy melts away tension, increases circulation and metabolism. Pure relaxation using essential oils and smooth water heated volcanic stones on key points of the body. Soak and shape before perfecting the cuticles, followed by an aromatic scrub. Finished with a deep tissue massage and a polish of your choice. Perfecting the cuticles and nails before applying geleration gels and finishing with phenomen oil and deep tissue massage. Geleration Nails (hands or feet), Lash and Eyebrow Tint, Eyebrow Wax. 30 Minute Facial, Geleration Nails (hands and Feet), Lash and Eyebrow Tint, Eyebrow Shape and Hollywood/Brazilian Wax. 60 Minute Traditional Swedish Massage, 60 Minute Facial, Classic Manicure and Pedicure. Includes lunch from The Plant Cafe.